While installing a program in the Windows Vista computer, blue screen of death may occur. The next step the user does is restarting the system. Definitely, you will try to run another program to check whether your system is running properly or not. 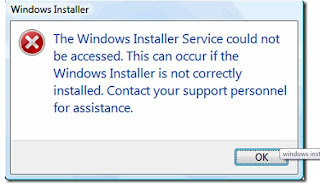 However, sometimes you may come across an error message, while running another program, saying that Windows installer cannot be accessed. In such a kind of scenario, you need to take some simple steps to troubleshoot the problem of your Vista system. Let us know it in detail. First and foremost step you need to take is re-starting the Installer’s service. To do this, go to ‘Start’ menu, type ‘Run’ in the search box and then, type ‘services.msc’ in the dialog box. This will open up a window for you. 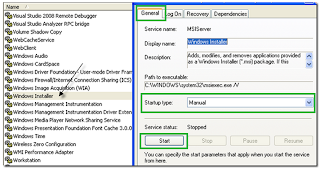 On the left side of the pane, you need to locate ‘Windows Installer’ and open it. Choose the ‘General’ tab in the next window and change the ‘Startup type’ to ‘Manual’. Once you’re done with this, click on ‘Start’ to start the service once again. There could be a chance that there is another copy of msiexec file in C:\Windows\system32 directory, which should not happen. However, if there is an extra file, you can locate it and rename the file with ‘.old’ extension. You can then, restart the Installer’s service. Restart your system and see whether the problem has been fixed or not. There could be an issue with Remote Procedure Call. 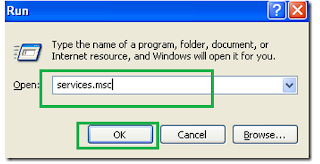 To fix this, you need to open ‘Services’ window by opening ‘run’ dialog box from ‘Start’ menu and then, type ‘services.msc’. Scroll down to locate Remote Procedure Call and not RPC locator. Right click on it and go to ‘properties’ from the menu. Choose ‘Log On’ tab and under ‘Local System Account’, select ‘Allow this service to interact with the desktop’ radio button. Restart your system to check whether the issue has resolved. If it has not resolved, select ‘This Account’ section and click on ‘Browse’ button to navigate ‘Network Service’ and select ‘Ok’. This will fill in the detail automatically and once it is done, you can restart the system and find whether this time the problem has solved. One of these fixes should help you out in such a troubling situation and if it doesn’t, then do call for a technician or a service centre.